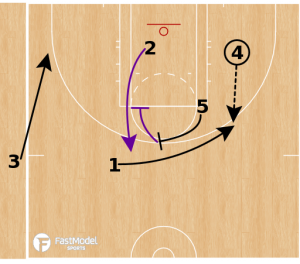 Two Sideline Inbounds Plays from the 2018 WNBA season to use after timeouts, or for an end of game situation. My hope for you is that you can take actions and movements from these plays to fit into your system and the abilities of your players. 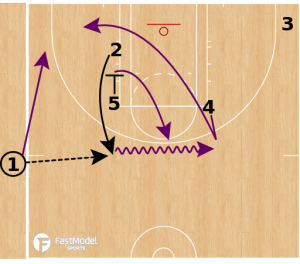 The plays were contributed by Doug Brotherton to the FastModel Sports Basketball Plays and Drills Library. Doug Brotherton is entering his 15th year of coaching basketball, and his 7th year at the helm of The Village School girls varsity basketball program. He has coached boys high school basketball, girls high school basketball, and started the Men’s Basketball program at Mid-Michigan Community College. Coach Brotherton is also very involved at all levels of basketball. He is a NBA Regional Advanced Scout for the Chicago Bulls. He is the founder of Dynamic Coaching Tools. Coach Brotherton was elected as the Texas Association of Basketball Coaches Large Private School Board Member. This past year, Doug helped develop the drill book and coaches packets for Jay Bilas Basketball Camps, along with giving a presentation of the benefits of FastDraw. In 2018, Positive Coaches Alliance selected Coach Brotherton as one of the 50 Double-Goal Coach National Award Winners, for his positive impact on his athletes on the court and in life. 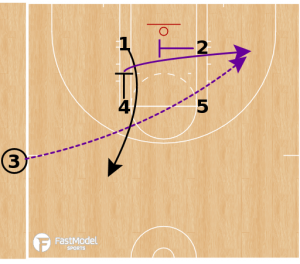 Doug’s comments: The Sparks took the popular “Winner” SLOB set and added a zipper action at the beginning, as well as a down screen at the end. It is a tremendous design, which resulted in an open three late in the game. 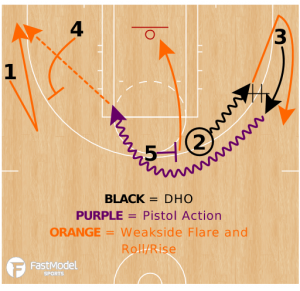 Doug’s comments: The Mercury ran this ATO to get Diana Taurasi an open three. There are multiple options, as the zipper cut turns into Pistol Action, and ends with a weak side flare screen for the inbounder.